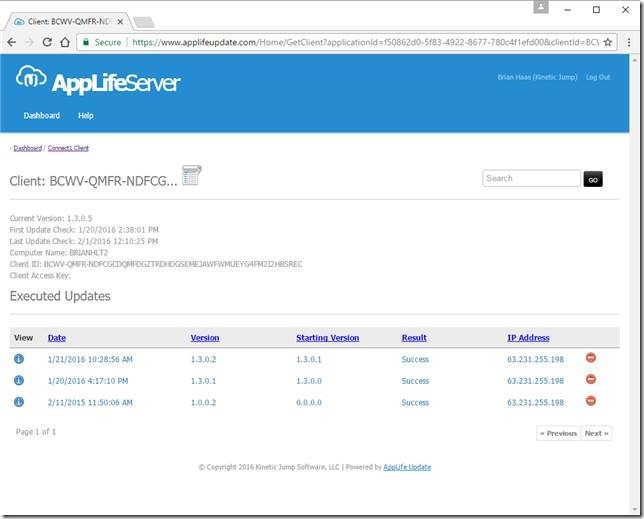 There are many advantages to hosting your update packages with AppLife Server over a standard http file server. 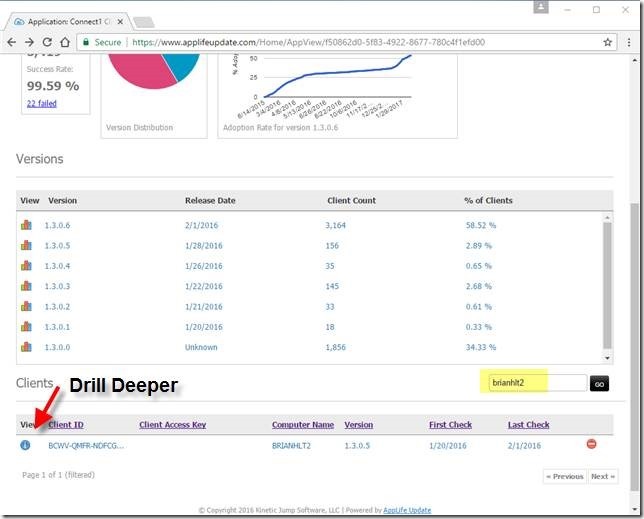 One big advantage is the ability to drill into your deployed install base and investigate what is going on out there with your applications. 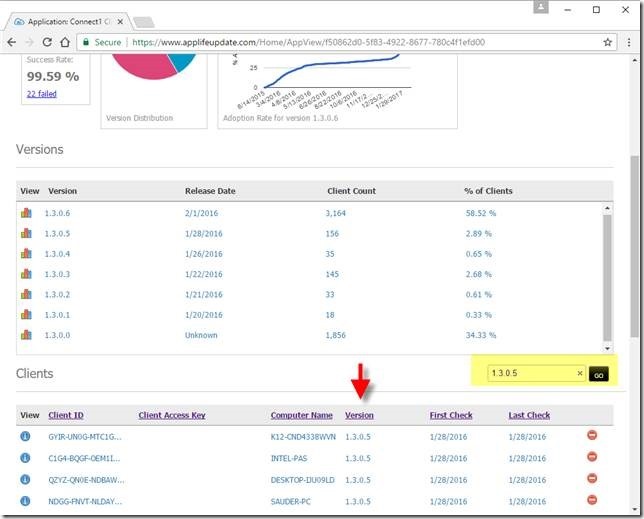 Once logged in and navigated to your specific application, using the search box to filter down the client list provides a lot of information. Say you want to see which deployed clients have not updated to the most recent release. Just enter the previous version number in the search box and you’ll be looking at all of the clients that are still running your previous version. You can search for any of the values listed for your deployed clients. To review the update history of a specific computer, search for a computer name or known Client Access Key. The last time I ran this particular application was on 2/1/2016. And to see all of the update history for this installation, click on the information icon. 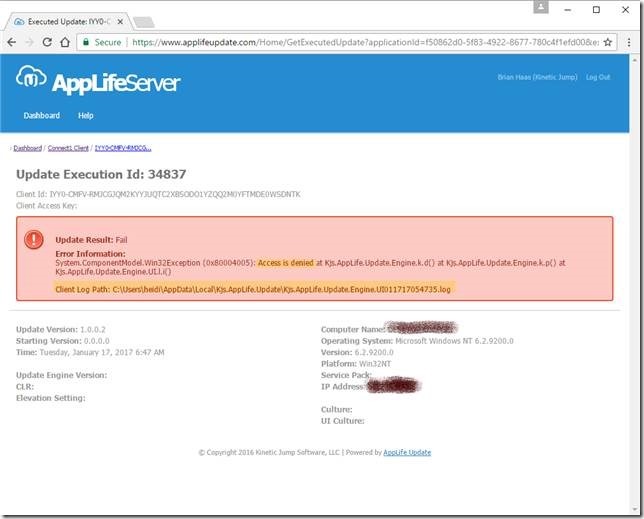 If this had been a failed update, information about the reason for the failure, and most importantly, the location of the update execution log on the deployed client would be displayed. Access to deployed installation status can be very valuable in troubleshooting issues that arise as well as ensuring updates are being deployed as you expect them to be. 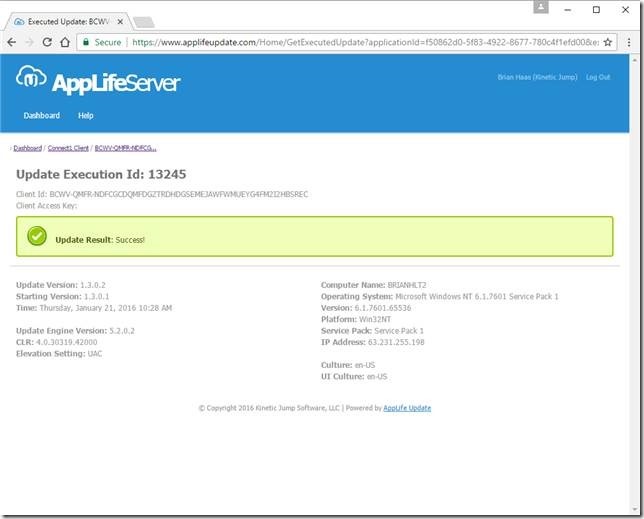 Hosting with AppLife Server provides all of this information to you.